Portable Buildings that fit your needs. Contact us at (850) 862-6269 for a FREE ESTIMATE today! FREE Estimates! Locally manufactured, FREE Setup, Delivery, and Tie-Down with purchase. Onsite Construction Available. Resdiential and Commerical Applications available. Servicing Okaloosa, Santa Rosa, and Walton Counties inlcuding Military bases and installations. At Advantage Portable Buildings, we're all about providing the best value for our customers. We are totally committed to our customers' satisfaction. We are the only local manufacturer of portable storage buildings in the area. I needed a small garage for my "toy car" (80 triumph Spitfire). Kevin worked with me to get me exactly what I needed. It was built on-site, a real quality building that exceeded my expectations for a very fair price. It was a pleasure doing business with Kevin and if i need another portable building in the future, I won't waste my time shopping around. Just wanted to let you know how appreciative Maureen and I are with our 12X20' shed. It will give me many hours of enjoyment once I set it up as my woodworking shop. I must commend you and your crew for a fantastic job. You can be sure that I will proudly recommend you to anyone who sees it. Thank you for an excellent and timely job. 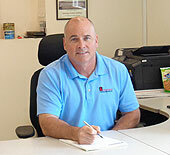 Kevin and his staff at Advantage Portable Buildings were very helpful and professional and they build a great product. They built our shed to the specifications we asked for and installed it as scheduled. Our shed survived Hurricanes Ivan and Dennis, and is still standing strong ten years later. Finished moving all our belongs into the shed. We are very pleased with the workmanship. The location was exactly where we asked and you and your staff were very pleasant and professional. Will most definitely recommend your business to all the neighbors. As long time residents of the Florida panhandle, we have a vested interest in the people and communities we serve. It is our mission at Advantage Portable Buildings to provide a quality product at an exceptional value to our customers. Our highly qualified and experienced staff are committed to providing professional, courteous service and to deliver a quality product in a timely manner. It is our responsibility to help educate our customers about both the product and service we provide. We are here to help you make a well-informed decision about your purchase.